If you want something special and unusual, try your hand at stylized wings. They will not only correct your eye shape, but will also help to create a memorable, vivid image. 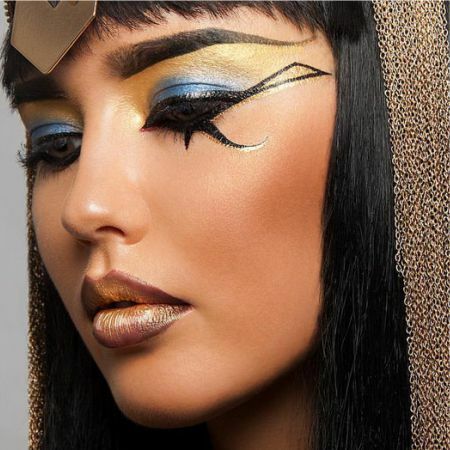 Whether you want to be a film star or a femme fatale, an alien from distant galaxies or the mysterious Cleopatra, stylized wings will help you achieve it. And if you are going to a party, be creative by creating unusual stylized wings that look like intricate patterns or pictures done by impressionist artists. Stylized wings are a choice for the creatives seeking to make the world a more interesting place and filling it with a little more beauty! But first, it is necessary to consider the ultimate goal—what you want to see in the end. Do not forget about this goal and keep it in mind when creating your stylized wings. Each type of wing has its own characteristics. Thus, the top line of the Egyptian wings is not connected to the bottom line. They continue to be parallel, rising slightly towards the temples. Wings done in the style of Marilyn Monroe are made only on the upper eyelid, and they have a relatively large thickness at the end. Just look at the photos of the famous American actress to notice. Wings done in a rock star style are catchy, well shaded, and they gradually transform well with eyeshadows of purple, black, and gray shades. Wings can be styled after any historical epoch or a certain celebrity, your choices are unlimited. Some are used to creating makeup depending on their mood, and that's fine, because it gives an opportunity to be more expressive, creative, and say something with no words. It is important for makeup to be appropriate to the situation and to be in harmony with your clothes and hairstyle as well. 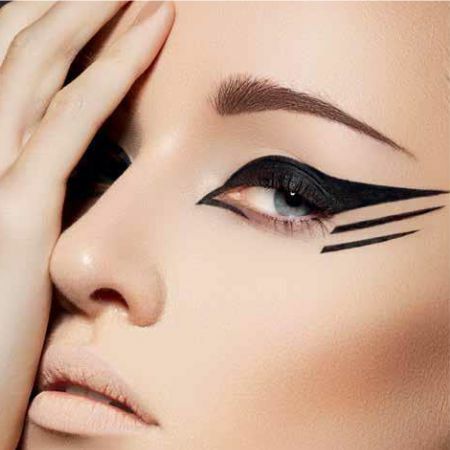 Casually dressed women with cat eye wings just look strange. Think over every detail of your image, this is the only way to achieve a good result! Style is something you cannot buy. Some has an innate sense of style, some does not. But you should not get upset—you can and should develop your own style and broaden your horizons. Seek out useful information or just mingle with stylish people. If you are not sure about something, don’t do it, but if you are sure, then go bold! 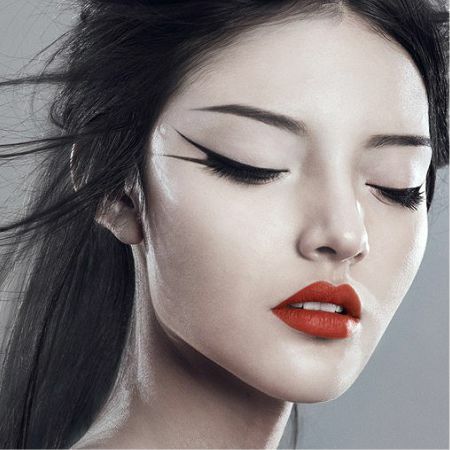 The stylized wings in eye makeup are an excellent tool to raise your mood on weekdays and surprise everyone during the holidays. Like the article «Stylized Wings»? Share it with friends!